WVU's Alexander Kurov has researched suspicious trading trends in financial markets in Germany. An analysis of data prepared for the Wall Street Journal by a West Virginia University business professor last year noted suspicious trading in financial markets in the United Kingdom, where confidential economic data was provided to dozens of government officials in advance of the public release of the data. 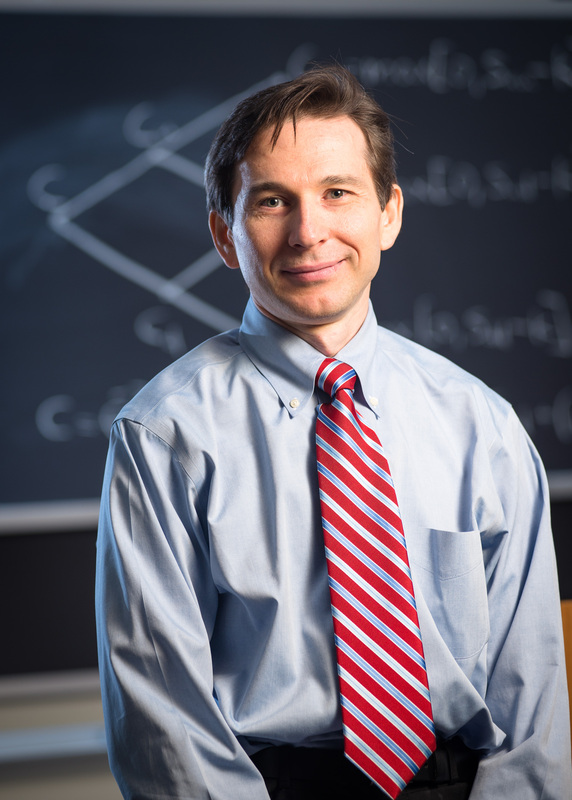 In his analysis, WVU professor Alexander Kurov researched key economic announcements over a six-year period in the U.K., including industrial production, Consumer Price Index and jobless numbers. In these announcements, he found evidence of price drift in the “right” direction in the one hour leading up to the public announcement of the data. As a result of these findings and subsequent public discussion, Britain established new policy whereby government officials would no longer have early access to economic data. Those same suspicious patterns were noted in Germany, which has now prompted the statistics agency in the country that represents the most prominent economy of the 19 nations that share the euro to stop sending sensitive economic data to journalists before that information is made available to the public. Kurov, the Fred T. Tattersall Research Chair in Finance and a finance professor at WVU’s College of Business and Economics, said his analysis of data from 2012 to 2017 for the Journal shows that prices for euro currency futures tend to drift in the “right” direction — before the numbers are released. The drift in the 30 minutes before publication is statistically unlikely to be due to chance, Kurov said. Destatis, the German statistics agency, announced in late December that the analysis had driven it to make a procedural change, and that it would halt the practice of providing economic data releases to news agencies under embargo. The embargo asked media outlets to keep the information confidential until a specific time when it is released to the public. The Journal also noted that in the U.S. and the U.K., reporters get access to data shortly before publication, but must do so in special “lock-in” rooms at a government building where their electronic communications are blocked until the embargo has been lifted. Kurov also noted that the loose dissemination of economic data does, in fact, matter. He pointed to the example of Sweden, which holds economic data so tightly that no one outside the statistics office — not even the prime minister — may see it prior to its public availability. And trading in the Swedish krona has shown no abnormal patterns. A recent study of U.S. macroeconomic announcements completed by Kurov and his co-authors showed that pre-releasing announcements is associated with a stronger pre-announcement drift. This applies in particular to the least secure release procedure, like the one that was used in Germany. The study estimated that annual profits of market participants trading in the “correct” direction ahead of the announcements are in the tens of millions of dollars. For further information on the WVU College of Business and Economics, follow B&E on Twitter at @wvucobe or visit business.wvu.edu.